This Sunday marks TWO years since I started blogging about my journey to FI/Retiring Early! The years have flown by but yet at the same time, it feels as if I’ve been blogging for aaaaaaages! Ok, so my savings rate last month was an unusually high one, boosted by a work bonus but even if I compare it to February 2016 which was 51.6%, it’s still a pretty good effort if I may say so myself! The increases in both Net Worth and Future Fund are largely due to new capital being chucked in every month without fail; I’ve aimed to save/invest as much of my net salary as possible, and also put away income I get from extra curricular activities, such as cashback, gambling winnings and various online activities. A big thanks to all who take the time to read this humble little blog – it’s a great incentive to me to know that people have a passing interest in what I have to say about my little journey and I love to read your comments and private emails. Thank you very much for helping me be accountable, giving me encouragement and helping me stick to my plan and aim for my goals! Not only have my Net Worth, Future Fund and Savings Rate grown but I have grown as a person too (though not taller, haha!). My attitude towards finances, personal development and investments have changed, I’ve taken on board new ideas and best of all, this blog has led to me meeting some great like-minded individuals at various UK gatherings, the most recent one in Wales. I know all too well that if I cut back on my overseas holidays every year, my gym membership and my social outings, my Future Fund would be even larger, my savings rate easily around 60%. However, I’m happy with my quality of life right now and I think I have a good balance, enjoying life whilst also enjoying saving/investing! I’ve gotten rid of costs and expenses that I don’t consider important to me, cut back on others, only paying for the ones that do matter to me. I still feel the need to appear outwardly ‘normal’ to my friends, family and colleagues, and that comes at a slight (social) cost, a cost that I am willing to pay. Some may argue that with my job situation being uncertain in the long-term, I should cut back even more, put more in the pot in case things go all pear-shaped at work. That just seems unnaturally pessimistic to me and would have me focusing on something negative rather than positive. This entry was posted in Blog Update, Net Worth, Savings, Self-Development, UK Gathering by weenie. Bookmark the permalink. That’s a really constructive and upbeat post Weenie, just shows what can be done (and you could always buy some platform shoes with your earnings!) 🙂 Two years blogging is a big achievement too, I’m hoping that I can reach half of that before I self-implode. Yes, it shows what can be done with a plan and with some focus. I don’t know about you self-imploding but you’ve certainly got a lot of energy that just needs to be channelled towards your ‘next calling’! Well done Weenie 🙂 I like what you say about quality of life and think your savings are really impressive – if you can afford overseas trips etc while still hitting a savings rate of over 60%, all power to you. Thanks Cathy. I could be eating ramen noodles every night, not go to the gym, not go on holiday, not go out with my friends and be FI a lot quicker, but what sort of life would that be? Quality of life needs to be balanced! Thanks for stopping by. Congratulations weenie – a 65% uplift in net worth over two years is good going – well done and keep it up! I really enjoyed reading this post – for me this is what it’s all about. Taking a look at how far you’ve come whenever you hit important milestones like this. 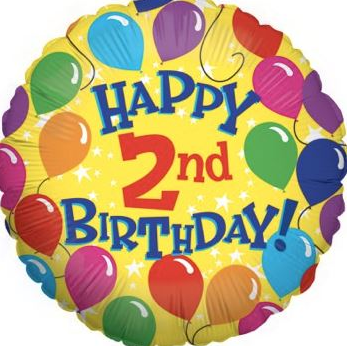 You must feel so proud to be reaching your 2 year anniversary of the blog, I now know first hand having only been going 2 months that it takes dedication, persistence and a little bit of imagination to keep those blog posts coming – so well done! Also, it’s great to see such big increases in your Net Worth, Savings Rate and Future Fund in just 2 years. You’re proving it can be done, and I thank you for that, because it’s inspiring for those of us not so far into the journey. I hope that I get to celebrate 2 years of my blog, but for now I’m simply happy every time I hit another month anniversary! Thanks – I’m glad you enjoyed the post and that I’ve provided you with a little inspiration too. I am proud of what I’ve achieved in such a short time – logging updates on a monthly basis, it’s not always easy for me to see any progress, especially when the markets are up and down. That is really good progress in such a short time – congratulations and keep up the good work! Well done weenie! Great to see that your finance has improved so much over 2 years. Amazing how quickly time flies by doesn’t it? Keep up the great work. Thanks Tawcan. Had I not discovered some great PF/FI blogs (including yours) I would never have even contemplated on sorting out my finances – I thought I was doing fine because I had no debt! Time does fly yes, need to make the most of it! Thanks for stopping by. I’ve just discovered your blog and feel as if I have missed out for two years. Really inspirational and eye opening. Keep it up! In regards to blogging holding you accountable, do you find sharing such personal information publicly has driven you to succeed? Yes, I have found that sharing my information publicly does provide both motivation and incentive to succeed – I haven’t always hit my goals and targets but the act of posting and updating drives me to try that much harder. You’ve made great progress in 2 years, keep it up! I’m not a ‘doom and gloom’ type of person but I have to try not to get dragged down by those types, particularly at work. I am in a far better financial position than I would have been two years ago and I hope my blog can show others what can be achieved. I only discovered this blog a week or so ago but looking forward to tracking the progress. Great work and keep going! Thanks. Good luck with your investments too! Congratulations on Quietly Saving becoming two years old! As long as you don’t start throwing tantrums, I’ll be happy to keep reading. You know what they say about two year olds! Awesome progress in two years. It’s nearly 3 years for me and I’m looking forward to looking at the progress as well, but I need to pump a few more posts out to not be considered “dormant” blogwise I think haha. Looking forward to reading about your 3 year progress – if not for you (and Huw), I wouldn’t have started my own blog, so thanks very much! Great post and awesome progress. Really enjoyed following you these past 2 years and hope to do so for many more. Hopefully meet you at last at one of the FIRE events! Thanks Guy and yes, hope to meet you at a future FIRE event! Weenie, well done for blogging two years (it is clear line veyond which you join the ranks of veterans :)). But I think that much bigger congratulations are due on your progress towards FI. So, well done you! Thanks for the kind wishes, Maria – I’d feel quite proud to be ranked amongst the ‘veterans’! The blogging is certainly a big factor in keeping me focused on aiming for FI. Thanks for stopping by. Congrats! Sorry I haven’t stopped by in a while, but it looks like things are going great for you. I’m glad that you’re maintaining good balance – that’s a very tricky thing to master when you’re doing so much. Thanks Harmony – I’m plodding along and yes, trying hard to maintain a good balance. Simplifying my goals this year has helped. Hope all is well with you. Great stuff Weenie – really inspiring! Well done! Cheers Mike! Hope you’re well.